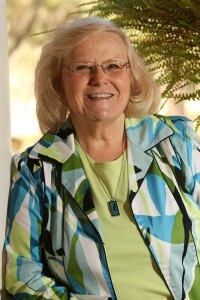 Jean Wise is a freelance writer, speaker, retreat leader and spiritual director. She is a contributing author of devotions for six compilations published by Barbour, plus the solo author for Let Every Heart Prepare Him Room, an Advent devotion (Barbour Books, 2014). Jean has also written: Whispers: Being with God in Breath Prayers and Spiritual Retreats: A Guide to Slowing Down to be with God. She has published numerous magazine articles in magazines such as the Lutheran, Christian Communicator and public health journals. A former reporter for her local daily newspaper, she is also a graduate of CLASS and CLASS Career Coaching. You can check out all of her book on Amazon here. She writes twice a week on her blog, www.healthyspirituality.org. Established in 2009, the site includes more than 1000 posts. Please consider subscribing to this blog – see the side bar to the right. Let’s connect on social media. The links to bring us together are on in the sidebar to the right. 1. I am an INFJ personality type and a number 3 on the Enneagram. 3. I was Band Princess my senior year in high school. 4. I grew up in Canton Ohio. 6. I am a Disney fanatic. 7. Trees are my image for my spiritual growth – roots growing deeper into God; limbs reaching up in prayer and praise, both nourishing each other. 8. I value friendship and have quite a few lifelong friends from grade school, college and into the present. 9. I love planners, calendars, to do lists and productivity gadgets. 10. When I was 7, I created, wrote and delivered a neighboring newspaper – a writer in the works at a young age until I felt God calling me into nursing. I love being an RN and am grateful God has open the doors in the second half of life for writing, speaking, ministry and spiritual direction.